Sir Derek Jacobi, one of the world’s greatest classical stage performers, stars alongside actor-director Richard Clifford and members of the Folger Consort early music ensemble from Washington D.C. in an epic world premiere mashup of Shakespeare’s Measure for Measure and Purcell’s Dido and Aeneas. The show moves to the Kennedy Center in October. 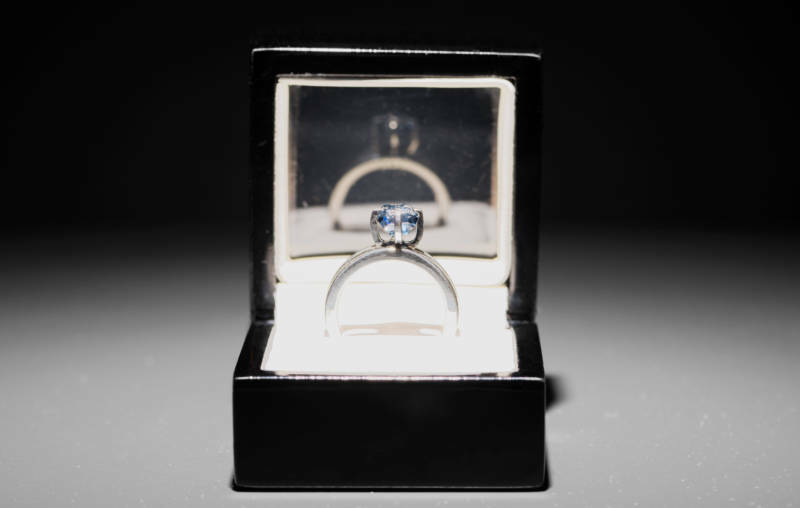 This fascinating and bizarre conceptual art project tells the story of Brooklyn artist Jill Magid and her unflagging quest to repatriate the archive of famed Mexican architect Luis Barragán by growing a two-carat diamond from the architect’s cremated remains and setting it in a ring that is on permanent offer to the private owner of Barragán’s professional archive in exchange for returning the archive to the family and Mexican government. The artifacts on view at the Art Institute, which include the diamond ring and a video of the exhumation, raise all kinds of questions to do with artistic legacy and public/private ownership. An A-List team of creators including choreographer Mark Morris and his dance company, painter Howard Hodgkin, Azerbaijani superstar singers Alim Qasimov and Fargana Qasimova, and the members of the world-famous music group, the Silk Road Ensemble, unite for this world premiere retelling of an ancient Persian love story through dance, music and colorful visuals. Like Romeo and Juliet, the couple at the center of this narrative are forbidden to wed. And things only spiral downwards from there. Virtuoso percussionist Steven Schick is set loose on a stage packed with inventor-composer Paul Dresher’s fantastical, homemade musical instruments. These include the Hurdy Grande (a hurdy gurdy on steroids), the Peacock (a deconstructed pipe organ) and other creations brought forth from Dresher’s imagination. This weekly happy hour, outdoor dance party to live music is a great way to let off some steam as the weekend approaches. Instructors are on hand to help you perfect your moves across an array of genres, including the two-step, foxtrot, and merengue. The event features a beer garden and food trucks so you can stay fueled up while getting on down.